EduKit can be used to monitor Looked After Children (LAC) to ensure that their pastoral and academic needs are being met. We do this by helping virtual school staff to understand their wellbeing and how this relates to the wellbeing of other students in their year group. We can then provide instant access to free and low-cost local supplementary support, much of which is specially tailored to meet the needs of students who are or have been in care. NB: Winners of a Dept for Education award for Innovation relating to our support for Looked After Children. See all relevant student information in one place including attendance, behaviour, grades and other useful metrics. Retrieve data on attendance, attainment and behaviour in real time and understand how this relates to general metrics within the year group of each LAC. This helpful feature allows you to quickly understand how the children you are monitoring are doing relative to their peers - providing a helpful picture of how they are fitting in. 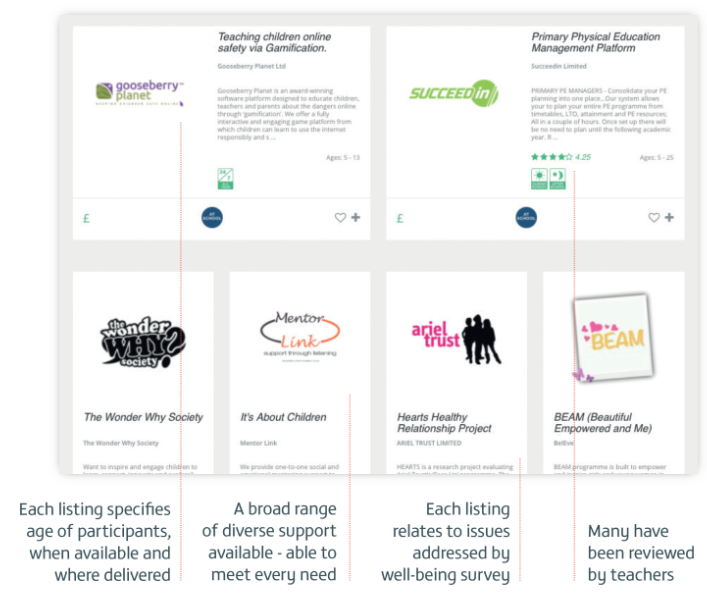 For Virtual Schools, we can also indicate which of these organisations specifically cater to Looked After Children.